November 9, 2016 (La Mesa)—Attorney and affordable housing advocate Colin Parent, a Democrat, has won election to the La Mesa City Council, narrowly defeating incumbent Ruth Sterling, a Republican. Councilwoman Kristine Alessio, an attorney, won reelection. Parent will be the lone Democrat on the five-member Council. Sterling has long been one of La Mesa’s most popular politicians, winning past reelections by wide margins. But she missed a key La Mesa debate this election cycle due to falling and breaking her arm. Sterling had initially announced she would not seek reelection, but later changed her mind after constituents urged her to run. With 100% of precincts counted but late mail-in ballots and provisionals remaining to be tallied, Alessio has 35.55% of the vote (6675 votes), Parent has 35.35% (6450 votes) and Sterling 30.11% (5654 votes). October 15, 2016 (La Mesa)—Three candidates vying for two seats on the La Mesa City Council are slated to appear in a forum on Tuesday, October 18 at 6 p.m.in the La Mesa Police Department’s community room. This forum will be sponsored by the League of Women Voters and the American Association of University Women. Candidates are incumbents Ruth Sterling and Kristine Alessio, as well as challenger Colin Parent. October 13, 2016 (La Mesa) – By a 3-1 vote, with Councilwoman Ruth Sterling opposed and Councilman Guy McWhirter absent, La Mesa’s City Council on Tuesday voted to approve a measure that requires signatures of two council members to place any measure on the ballot. ELECTED OR APPOINTED CITY CLERK IN LA MESA? Update May 15, 2014: by a 4 to 1 vote, with Mayor Art Madrid opposed, Council voted to move forward with this proposal, with voters having the ultimate decision on a future ballot measure to make the City Clerk an appointed position. 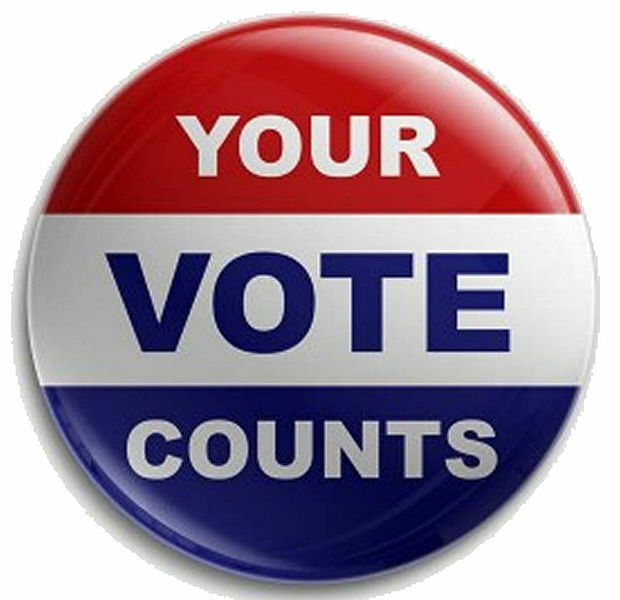 May 12, 2014 (La Mesa) -- On Thursday, May 13 the La Mesa City Council will discuss whether to place an item on the November election ballot to change the City Clerk position from one that is elected to a staff position that would be appointed. Among other things, the Clerks Office must have a thorough knowledge of election procedures and the public notification requirements of the Brown Act. Read more about ELECTED OR APPOINTED CITY CLERK IN LA MESA? October 23, 2013 (La Mesa) -- The La Mesa City Council voted 3-2 on Tuesday night to once again delay a vote that could put term limits for the mayor and the city council on ballots next year. After nearly an hour of discussion by the council and public comments, Councilmember Ernie Ewin motioned for the matter to be delayed once again so that he and the council could have more time to decide if they will put the matter on the ballot themselves. “I want this to be vetted, and to give us all a chance to come back and really think about this,” Ewin said as he motioned for the delay. November 5, 2010 (La Mesa) –Jim Wieboldt, a Sheriff’s deputy and founding chairman of the La Mesa Chamber of Commerce, announced Wednesday that he plans to challenge Ruth Sterling for a seat on the La Mesa City Council in 2012. “Public safety will be my number one priority,” said Wieboldt, who pledged to “ask the tough questions about our crime rate” and get recommendations to reduce crime. September 15, 2010 (La Mesa) – La Mesa's City Council voted yesterday to oppose Proposition 23. Sempra Energy, parent company of San Diego Gas & Electric Company, also announced its opposition to Prop 23. The ballot initiative would repeal California’s landmark AB 32, the law which protects clean air, requires greenhouse gas emissions reductions, and provides incentives for renewable, clean energy jobs in California.